At the GIScience conference in Columbus/Ohio a PhD student from the University of Salzburg won a scholarship for his paper. Bakhtiar Feizizadeh proudly received the award, sponsored by ESRI during the conference dinner ceremonies. He directly proceeded to San Diego for an eight month research stay at San Diego State University. We congratulate Bakthiar for the recognition and his achievements! The Senate of the University of West Hungary has decided to bestow the title of 'Doctor Honoris Causa' (Dr. h.c.) on Prof. Josef Strobl. This highest university award has been initiated by the Faculty of Geoinformatics, recognizing excellence in Geographic Information Science research, leadership and innovation in Geoinformatics education, and extensive international cooperation with a focus on European programmes. 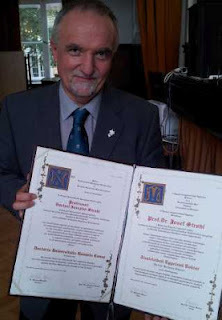 The award ceremony was included in the 50-year university anniversary celebration on September 14 in Székesfehervár, led by the Rector of the University of West Hungary. In his acceptance remarks, Prof. Strobl pointed out the universal, interdisciplinary perspective which has become a hallmark of academic success with the discipline of Geoinformatics. As a significant coincidence, the Universities of West Hungary and Salzburg, as well as 'Geographic Information Systems' share their 50th anniversaries in 2012! 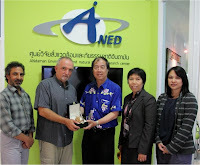 geoNDM Workshop completed in Phuket, Thailand! 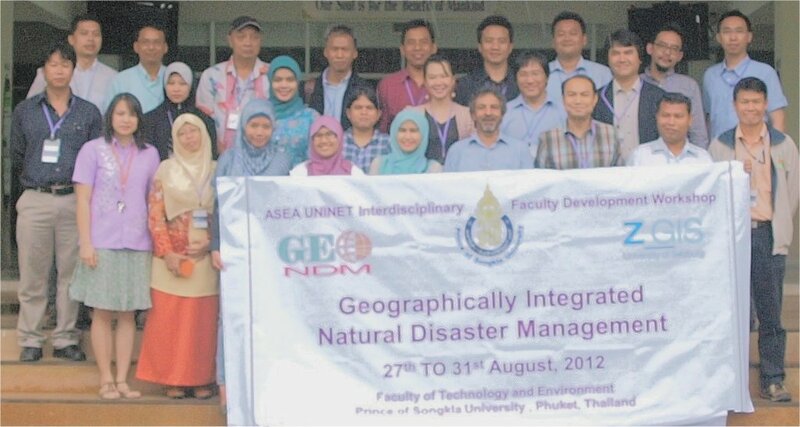 A week-long international workshop entitled 'Geographically Integrated Natural Disaster Management' (geoNDM) focussing on interdisciplinary faculty development was conducted by the Department of Geoinformatics (Z_GIS), University of Salzburg, Austria. 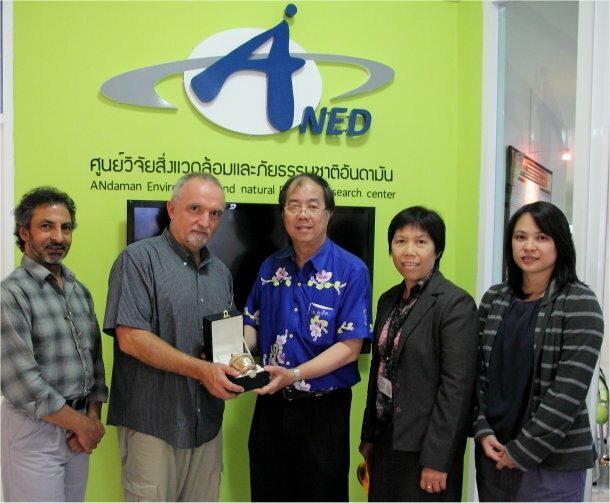 The workshop was hosted by the Faculty of Technology and Environment (FTE), Prince of Songkla University (PSU), Phuket Campus from 26th to 31st August, 2012 and was co-funded by ASEA Uninet, Austria. 24 teachers and post-graduate students from Indonesia, Malaysia and Thailand participated in the workshop. Prof. Josef Strobl (Z_GIS Chair) introduced the participants to the concepts and technologies involved in real time information for disaster management, based on crowd sourcing for facilitating coordinated emergency response and effective management. Dr. Shahnawaz from Z_GIS conducted practical sessions which were supported by Dr. Chanida Suwanprasit from PSU. During the workshop, participants developed individual projects following the concepts of geographical information science and completed the practical part with ArcGIS Desktop software.